I've never been a big fan of desserts. Our chocolate mousse is a big hit though. I need more selections into the menu and so I put on my thinking hats again. We use a lot of egg whites at the shop but the yolks are wasted. So my ideab is to use the yolks as part of the dessert. Maybe a creme brulee of some sort. But it doesn't blend in. I passed by the market snd saw some almonds. Almond tea, that is a local favourite. 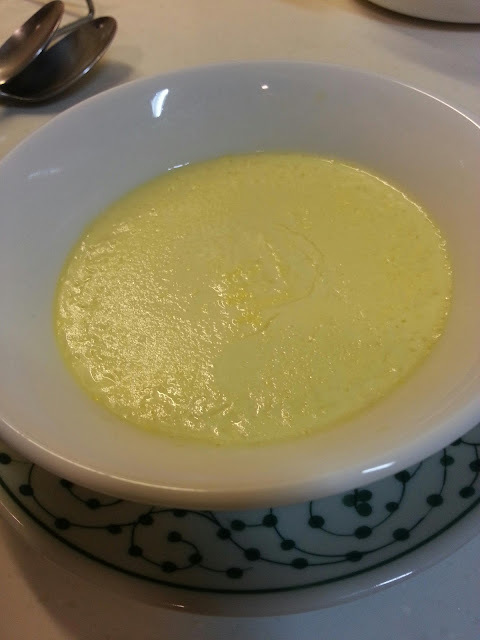 How about an egg custard made from almond tea? With that ub mind, I soaked some almonds, put them through a food processor with 4 parts water. Afterwards, the mixture was strained with a cheese cloth and brought to a boil. 1 part egg yolk was mixed with 5 part water and some sugar. The mixture was then steamed for 10 minites. It was good. Another indicator that it was good are kids. I gave some to my little one and when a 7 year old says its delicious and a little unwilling to share, then it should be good.